Squawk employs a managed approach to matching voiceover services to project. This involves a combination of business, artistic and technology resources to ensure that customer requirements are clearly understood, that work product meets or exceeds expectations, and that project turnaround is the best in the business. The first step in the process is to fully understand the customer's requirements. This includes the scope, timeframe and cost constraints for the project as well as any customer preference for talent. This ensures that we can match customer needs for quality within budget. You send us the script and we'll have auditions for you in Mp 3 format within 24 hrs. We are a Boutique VO Company and won't bother you with hundreds of auditions to listen to! We narrow it down to the Voice over talents that actually meet your requirements and save you time! All of our talents have high quality studio equipment, no need to worry. How do you know we actually mean what we promise? 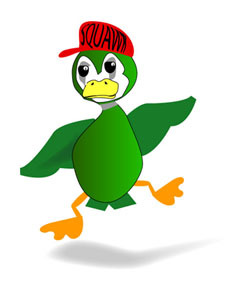 If desired, Squawk can take an active role in the production process. Depending on project scope, we can either produce in our own studios or contract with an outside facility of your choosing. Just tell us your wishes and we'll be happy to help you get your project DONE. Squawk can assume full responsibility for sourcing, selecting and producing your entire voiceover project. We work closely with a handful of selective producers to help make your project come to life! Didn't find what you were looking for? We are here to help! Call us at 203.837.6180. What do you have to loose? Do you need a quote for a project and not sure which voice to choose? Give us a call or email us at info@squawk.us and we'll be able to help you. It's that simple!